Dzhokhar Tsarnaev seemed so like me. But he was hiding more than I ever realized. 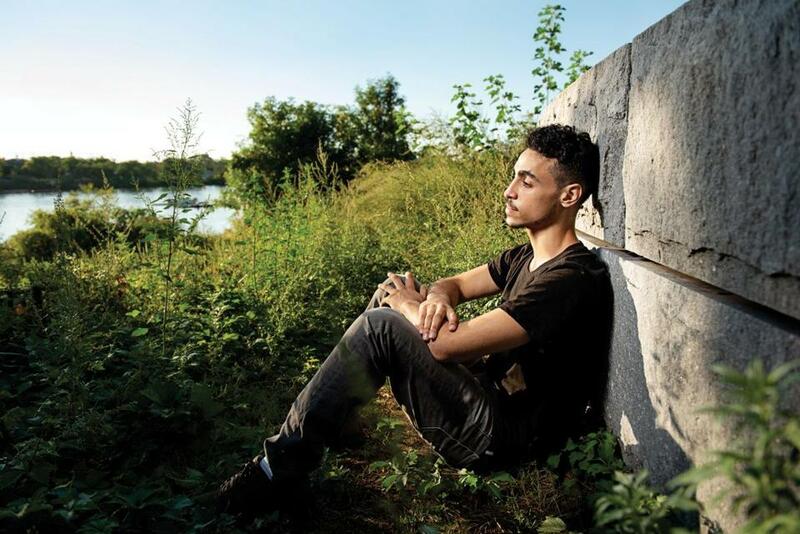 Youssef Eddafali at the Cambridge hangout spot called the Riv. 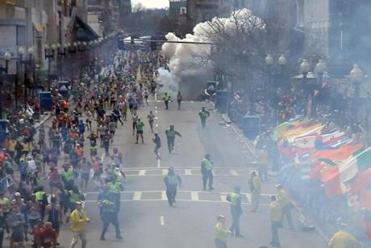 I FIRST MET Dzhokhar “Jahar” Tsarnaev in seventh grade, on the basketball court at the Cambridge YMCA in Central Square, where I played on weekdays and in a Saturday league. He went to the gym to use the weight room and shoot around. I disregarded him — he sucked at basketball. 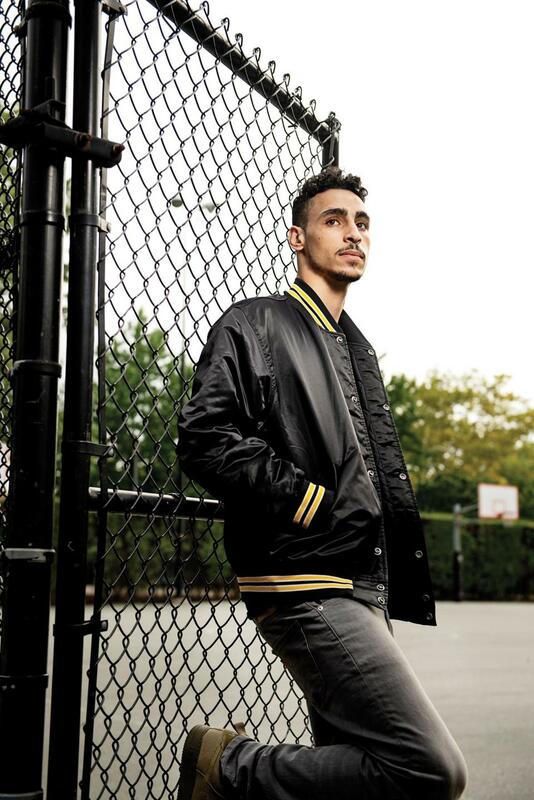 Basketball helped me feel like an American, instead of a Muslim whose single mother dragged him here from Morocco looking for a better life, then worried constantly that we wouldn’t find it. Before basketball, I didn’t really fit in. I wasn’t particularly smart or witty. Worse, I had started second grade in Cambridge the very same month that the Twin Towers fell. On the playground, kids would call me “sand [expletive]” “Saddam Hussein’s son,” or “Abu,” after Aladdin’s monkey. One kid nicknamed me “Unicef,” which was brilliant, in a way: It rhymed with my name, and alluded to my African heritage, financial situation, and emergent unibrow. When we were a little older, kids would come up to me, place fake “bombs” on my body and then run away making ticking noises. I got into a fair amount of fights until my mother, who worked three jobs, told me I had to stop. Even if it meant saying nothing when bullies taunted me, I had to exercise self-control. It felt completely debilitating. My mom always made me stay in the apartment until I finished my homework. But she agreed that as long as I kept my grades up, I could play basketball after school. I began spending hours on courts across Cambridge. This freedom allowed me to meet a slew of people who helped me develop as a young man and truly feel a part of the culture of Cambridge. As I improved, I gained confidence, sociability, and friends. I met Jahar again in high school, when we enrolled in the same lifeguarding course in my sophomore year, his junior year. Lifeguards were paid well for minimal effort: You sit in a chair and watch people swim, or so we thought. We were actually terrible swimmers, but our teacher stressed that if we failed during a rescue attempt, people could die. So we learned how to breathe while swimming with our heads in the water, and swam endless laps to get in shape. We took turns “drowning” at the bottom of the pool, holding our breath and waiting to be “rescued.” Jahar and I learned to trust one another in the pool — and that trust soon extended beyond class. After we became certified, a group of us from the class applied to be lifeguards at Harvard University during the summer of 2010. To our surprise, we each landed positions. Jahar and I became part of a small group that would gather at “808,” a tall apartment building off Memorial Drive overlooking the Charles River. After dark, we frequented a party spot nearby that we referred to as the Riv. We were all classmates, peers, co-workers, and good friends who shared common interests. We called ourselves the Sherm Squad. We didn’t know that “Sherm” referred to Nat Sherman cigarettes dipped into liquid PCP (I didn’t even know what PCP was). All we knew was the word Sherm had a negative connotation. We used it to mean someone who messed up a lot; we called it being a Sherm. I felt Jahar and the Sherm Squad accepted me unconditionally; they became my home base of friends, almost an adopted family. The Globe’s authoritative account of the bombings and the largest manhunt in regional history. My real family’s life centered on Islam. I was raised to follow the teaching of the Koran and the five pillars of Islam, which boil down to self-discipline, love for yourself and toward others, and growing your relationship with God. We typically went to the mosque on Prospect Street twice a week, plus whenever my mother forced me to come to some event she’d volunteered for. I never looked forward to it. Men and women separate when they enter the mosque, which drove home my lack of a father or other male role models (I have an older brother, but we haven’t talked in years). So I would sit by myself or with someone else I knew who didn’t want to be there, engaging only when the call for prayer was sung. One Friday near the end of sophomore year, my mother yelled at me to go to prayer. After we prayed, he told me his family were also Muslim immigrants who expected him be a model Muslim. We both were trying to maintain an image as wholesome Muslim youths at home while being normal American teenagers away from it. He was fun to be around — always cracking jokes, coming up with things to do. He was smart, warm, respectful, and a good listener; and many of us admired his ability to “code switch,” moving effortlessly between social crowds and people of different races. He was also adept academically, holding his own in honors and Advanced Placement classes. He was generous, too. Whenever I ran short of funds, he’d give me money for lunch and crack “Stop being a broke boy!” in a way I found endearing. IN SENIOR YEAR, my priorities were playing basketball, finding the right college, my fantasy basketball team, girls, watching the Celtics, partying with friends, the prom, and making sure to get my homework done. In the secular, diverse melting pot that is Cambridge, I had my American life at school and my Muslim life at home. Adhering to the tenets of Islam, especially the daily prayers, was a struggle, and it didn’t help that Jahar, one of my main confidantes, was off at college. My mother still expected me to act like a strict Muslim, even though by now I was really only going to the mosque on the major holy days. She forbade me from attending “unwholesome” social gatherings, including school dances and any event held at the home of a female. I was not to swear, use drugs or alcohol, or flirt, among other vices. My mother knew little of what I actually did when I left the house, since I usually climbed out my bedroom window after she had gone to bed. But she often guessed at what I was up to, and frequently berated me as unworthy. 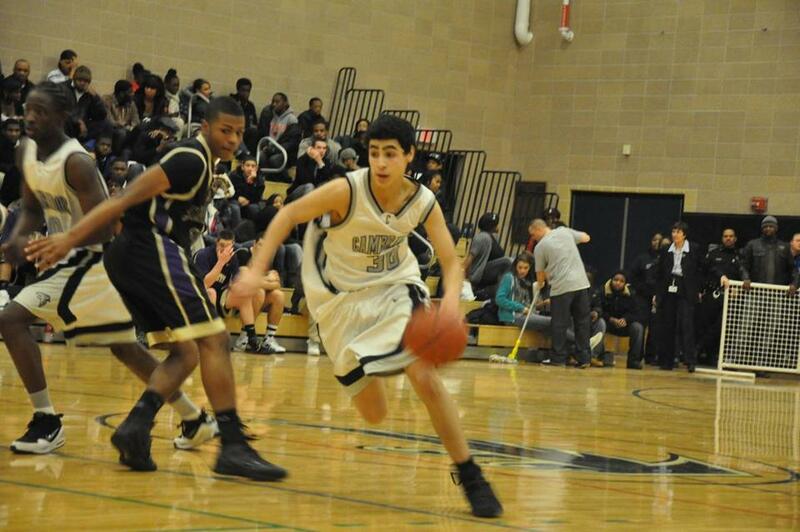 Eddafali playing for Cambridge Rindge and Latin School’s basketball team during his junior year of high school. I was much more interested in my American life, where religion was immaterial. You were judged on your social standing, whether your personality added life to the party, and how you expressed yourself through fashion or music. When Jahar was back from the University of Massachusetts Dartmouth on breaks, it seemed like we picked up right where we left off, cruising the city with the homies in his green Honda, looking for a party. My future felt bright. I was going to attend Bentley University, and become an entrepreneur. I had fulfilled my mother’s American-immigrant dream of getting into college and building a real life in America. DURING MY FRESHMAN YEAR at Bentley, I realized that I wasn’t sure I wanted to be in school. I took a leave during second semester and went back to Cambridge. I was at a friend’s house on April 15, 2013, when the bombs went off on Boylston Street. We ended up on a nearby rooftop, watching the commotion — the helicopters scouring the city and flashing police lights everywhere. I felt angry and under attack. I wanted the monsters who had committed this atrocity to get what they deserved. On the 19th, I was at another friend’s house and still up at 3 a.m. when I got a call. “Turn on the news!” my friend said. They were broadcasting a photo of the possible suspects in the Boston Marathon bombing. “Just look at the picture, fam,” he said to me. I thought that was outrageous. I fell asleep on the couch, and the next morning I woke up to see my friends huddled around the TV. I had never seen kids my age so absorbed in the morning news. I wondered if maybe a late spring snowstorm was approaching. They told me Cambridge residents had been asked to stay inside, and it did sort of feel like a snow day. Suddenly, Jahar’s face appeared on the screen — there was no mistaking him this time. He was the bombing suspect still at large, the anchors said. Aside from the sound crackling on the TV, the room was dead silent. I felt like 10,000 volts of electricity were coursing through my body. It had to be a mistake. The Jahar I knew wouldn’t even do something mean, let alone commit an act of terrorism. One of the girls’ cellphones rang; the call was from a TV newsroom where her sister’s friend was working. As our friend answered questions, her name appeared on the screen and we heard her voice come from the television. Within minutes, the doorbell rang. Our high school principal came into the house, along with two FBI agents wearing bulletproof vests. The FBI agents said they were looking for Jahar, and collected our cellphones. They had us sit in the living room and pulled us into the kitchen one by one to question us. It didn’t take long for one of the FBI agents to step in the room and say, “To save time, which one of you knew him the best?” I raised my hand. In the kitchen, they asked what I knew about the bombing — nothing — where I thought Jahar was, whom he might try to contact. I answered their questions as best I could, and then they left. This infuriated us, and we started screaming insults and epithets at him. I’ll never forget his shocked expression. That’s probably how most people reacted over the next few days when some of us defended Jahar, saying he was a good kid. But really, that’s the Jahar we knew. SOON WE KNEW THE FACTS of the despicable acts Jahar committed with his brother, Tamerlan. We witnessed the heartbreak and loss suffered by those they hurt and by the families of those they killed. Jahar left behind an ocean of pain that is still washing across my city, and my country, sowing hatred and division between people who hardly know each other’s lived reality. Jahar wounded those he grew up with as well as millions who practice a religion he perverted with his crime. He made suspects of everyone who knew him. Jahar put our safety and freedom in direct peril. Cambridge gave way to the real world, a place where I found myself feeling clueless. Like many of my friends, I did not have easy access to a lawyer. Later, I would realize I didn’t have access to what I needed even more: medical advisers, counselors, or therapists. Some of our mutual friends made bad choices and ended up in jail. The author at one of the Cambridge basketball courts he frequented. In the fall of 2013, I returned to Bentley to start my second semester, but I was still struggling to cope with the aftermath of the bombing, the FBI calls and questions. I felt guilty I even knew Jahar, after what he’d done. I was ashamed about what had happened to his victims — I still feel terrible for them. It feels awful that innocent people were hurt by a person I cared so deeply for. That November after the bombing, three days before midterms, the FBI interrogated me for five hours, as far as I could tell simply because I had been friends with Jahar. I had nothing to tell them; I still felt betrayed by him, and knew he deserved the full brunt of the judicial system. After that interview, I found myself completely unable to focus on my studies. I asked my professors for extensions, but all of them made me take my midterms. I failed several of them, and soon after I took another leave. This time I entered a downward spiral of addiction, insomnia, severe stomach pains, and depression, which fed off each other. I didn’t sleep more than a couple of hours a night for months. I felt paranoid and distrustful in every social interaction. Every aspect of my American life I had had to figure out on my own, and it seemed as though I hadn’t figured out anything at all. I felt like I had fallen behind my peers, unable to compete with their intelligence, their access, their privilege. I was exhausted from maintaining multiple, often conflicting identities as a Muslim-American, from not being Muslim enough for my family, but too Muslim to feel secure in a hostile, post-9/11 environment. It was soul crushing; I felt I had lost touch with the person and identity I fought for years to establish. It got to the point where I could no longer follow a normal conversation. I lost around 25 pounds, and the ability to play basketball, which had been my sanctuary. I can’t claim to know why Jahar took the murderous path he did, although I spent years lying awake at night tortured by these thoughts, searching every corner of my brain for clues. After Jahar’s trial started in March 2015, it seemed as though his face was on TV everywhere I went. I avoided coverage of it. I have not contacted him and I don’t think I will ever try. Eventually, I started reading books on nutrition and psychology. I changed my diet, and started practicing mindfulness meditation. I began playing basketball again, and started lifting weights, providing an outlet for my pain and anger. I started writing in a journal, which became my therapy, since it hurt more to leave my thoughts scrambling in my head than to put them on paper. I also practiced my faith — I believe Islam was built on peace and spreading positivity in the world — though I consider myself an imperfect Muslim. This practice grounds me daily. Still, it’s taken me years to crawl out of my hole. The truth is, Jahar and I had a lot in common. Until we didn’t. In high school, especially, we led double lives; conforming to the expectations of our families while denying the “otherness” constantly thrown in our faces. It meant keeping secrets from our families. Ultimately, I learned the secrets he had kept from me. Youssef Eddafali lives in the Boston area and is writing a memoir about growing up as a Muslim immigrant in America. Send comments to magazine@globe.com. Get the best of the magazine’s award-winning stories and features right in your e-mail inbox every Sunday. Sign up here.